REVIEW - New STAHLER Acoustic "Player" Grand Pianos starting at under $10,000 with Pianoforce Performance player systems. 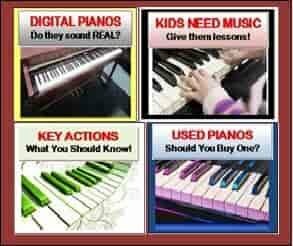 Recommended - There are few new Player Grand Pianos these days that sell for under $10,000 and when you do see them, in most cases those pianos have the older, bulkier, and lower technology player systems installed on those models and the pianos themselves may not necessarily sound good or have quality parts & construction. 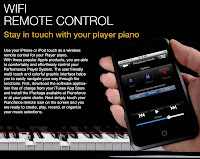 I have not reviewed or commented on acoustic pianos lately as the bulk of consumer requests I get are for digital pianos, but I do get inquiries for acoustic "Player" Grand Pianos with built-in digital player systems. So I thought I would review a new acoustic piano brand I recently saw and tried out called Stahler with the popular Pianoforce Performance player unit factory installed in the Stahler piano. Player grands have been popular for many years but with prices rising on acoustic grands as well as for the player systems themselves, these types of pianos can get quite expensive and can easily go for $15,000 to $20,000, and far more depending on the size & brand of piano as well as the particular player system itself. 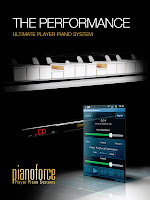 Player moving key systems primarily come from five brands: QRS PNOmation, PianoDisc, Yamaha Disklavier, Live Performance, and Pianoforce. All of these player piano systems are excellent choices with some offering more features than others (which then brings the price up). 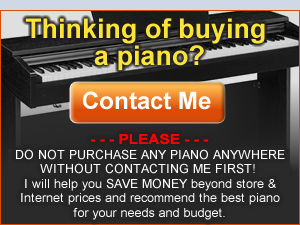 Also, for a price of around $4000 -$6000 or more (depending on the system and complexity of the install), some of these systems can be retrofitted to regular acoustic pianos that do not have player systems in them and the retrofit needs to be done by local authorized and experienced player player piano technicians. 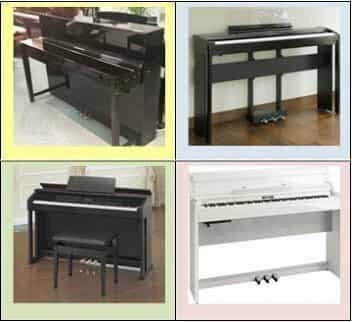 You may or may not have a person and place in your area that can do this, however, the player system companies also do a "factory install" on their own pianos which are mainly manufactured by piano companies in China and then are sold in regular piano stores under various names. The grand pianos themselves with a factory installed player system vary in quality depending on design, parts, & construction used in these brands, so they are not all the same. 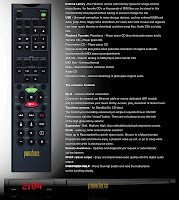 Finally, some of the major piano brands have high quality player systems from these player companies factory installed and the Yamaha company has their own proprietary system called Disklavier which is factory installed on their pianos. There are also used acoustic player grand pianos out there as well and some have been refurbished by piano stores and technicians, and some are just sold "as is" on the open market through Craigslist, eBay, and other retail sites. An important thing to know about used player pianos (as well as some new player pianos) is even if the piano itself may be in good shape, the player system could outdated and/or in need of work. 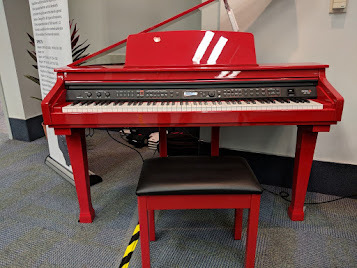 Buying used electronics is always risky no matter what anyone may tell you and although the used piano itself can be refurbished or fixed up a bit, the older player systems may not be able to be repaired depending on problems that can arise. Also the older player systems were big and clunky and had the old style CD pop-out drawer (upper left pic) instead of the newer "slot drives" and those drawers were more prone to problems because of the mechanical drawer needing more maintenance and parts. Those bigger, clunkier systems were also an eye-sore on grand pianos in my opinion. 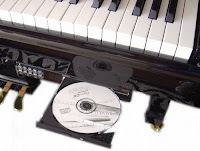 The systems sometimes did not work and getting on and off the piano bench when you were in front of the piano playing it was a big pain because the bigger player boxes would get in the way of your knees. Some of the older player systems, which you can still find on some new grand pianos, could not play some of the basic player songs available from other player systems. 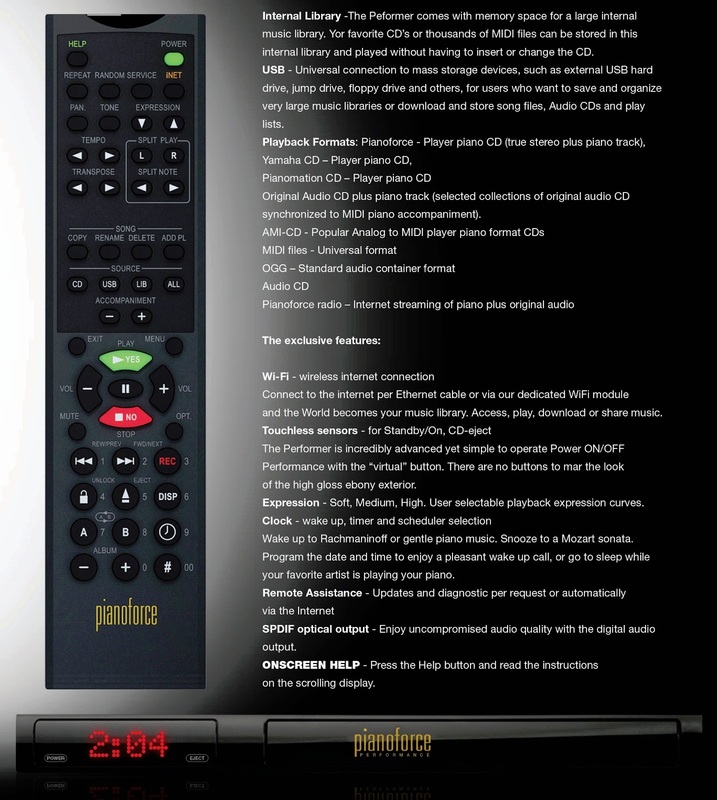 The amount of songs were also somewhat limited and could not take a USB flashdrive to input new songs and could not be connected to the internet or an iPad/iPod as many of the new systems can do now. So be sure you try to stay away from the larger, clunkier player systems that may still be out there. 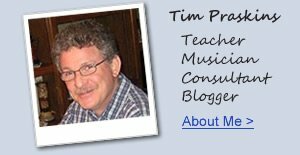 As far as price goes, although there certainly are people out there who will spend $20,000-$30,000 or much more for a great piano with a upgraded player system built-in such as Yamaha Disklavier which I do recommend, there are also a lot of people who don't want or need all the latest player piano features and just want a great looking, great sounding & playing grand piano that moves the keys smoothly and has enough technology with a low profile player system to give them an enjoyable listening and viewing experience. With regard to this kind of a piano, I recently discovered a new brand that I am recommending which can be purchased starting at under $10,000 complete. 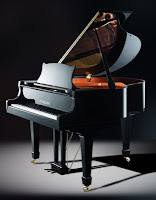 The piano brand is Stahler (made in China) with upgraded grand piano parts from around the world along with an advanced "Pianoforce" player system designed and produced in Europe. The player unit is compact and low profile, fairly easy to use, and has enough features to make the player piano experience an enjoyable one. 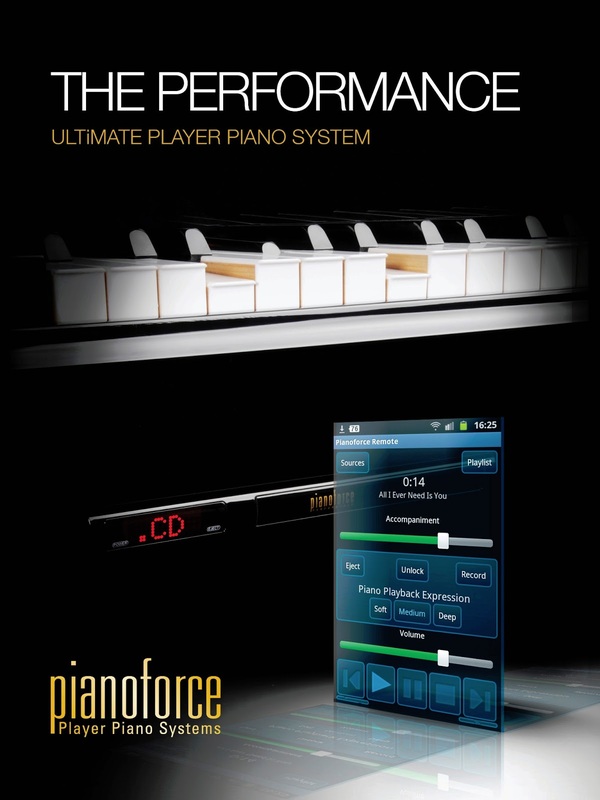 The Stahler piano with the Pianoforce player system can also be upgraded to include additional features for the player system such as using an iPad for remote visual control depending on what more you may want. I have played and listened to the Stahler player grand piano in person and was very impressed with the musicality of the piano sound as well as the key action movement. It really was quite good with the sound being very full coming through a powerful 3 way attached sound system and not bright or tinny (which other pianos can be) and the key action being medium in resistance without being too heavy or too light. In other words, it really felt and sounded good to play and had qualities you normally find in much higher priced grand pianos. With regard to the internal parts of the Stahler pianos, it appears that they use some good ones (including preferred piano industry designs) which they import from both Germany & Japan,among other countries. These parts and designs would include Duplex string scale, Mountain spruce cross-laminated soundboard, 19 layer maple pinblock, German felt hammers, German Roslau strings, double spring action, solid wood keyboard, and a hydraulic slow close piano key cover among other things. The Stahler Grand piano sizes come in a depth of 4'10", 5', and 5'4" and they also make a 48" upright player piano too. 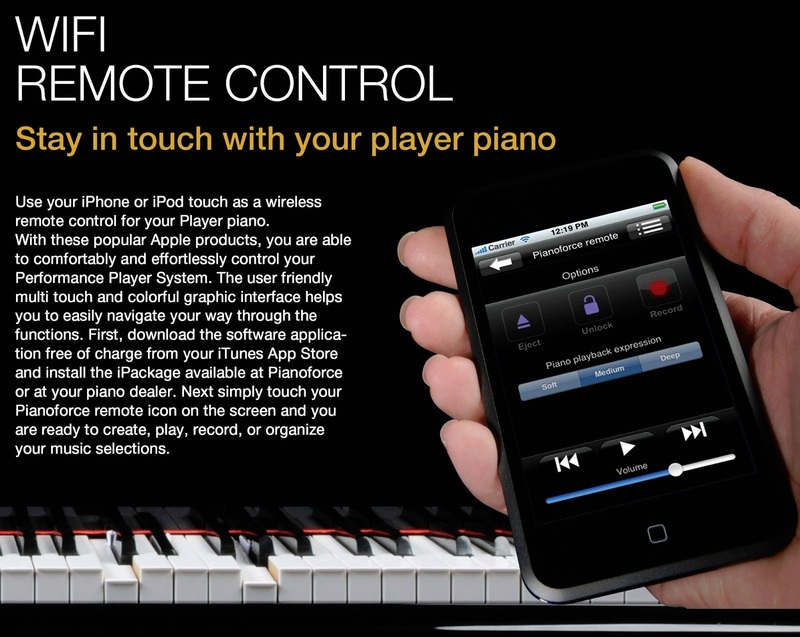 The on board player system can play a variety of CD's from QRS Pianomation library, Yamaha library, MIDI piano files, WebOnlyPiano discs library, Pianoforce library, Pianoforce Internet streaming radio (optional), and Pianoforce internal song library for 1000's of available player songs along with full orchestral or band accompaniment coming through a powerful external sound system mounted under the Stahler piano.The Stahler Pianoforce system also has an optional wi-fi remote control using iPod & iPad with an "easy to navigate" software app to control the player system with a variety of features which is pretty cool and so it takes the place of the remote control that comes with the piano. Take a look and listen to the video below for a short demonstration on a Stahler Player Grand piano. Although a special player music CD is used to demonstrate a variety of player songs on this piano, also keep in mind that the piano songs can by played by a USB flashdrive as well as the large internal music library in the player system as I mentioned earlier.